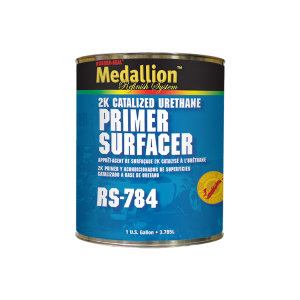 A 2K urethane primer surfacer designed for excellent film build and fast dry-to-sand time. It has excellent holdout and feathers easily with no ringing or lifting. Mixes 4:1 with RS-785 activator and National Rule compliant. Available in gallons and quarts.